The First Parish Green Sanctuary Team tracks our efforts so we maintain focus and share our enthusiasm. We encourage First Parish members to notice and improve the environment we all share on Earth. If you want to help, or know of projects and efforts that the Green Sanctuary Committee should know about, please contact us: Janet Powers, Sandra Ferriera, Bob Dorer, Carol Reynolds, Don MacIver, Mike Akillian, and others. Below you can see the variety of projects by First Parish groups that address the UUA Green Sanctuary Accreditation’s four areas of focus. Understand the significance and complexity of environmental issues, engage in community action and address unequal environmental burdens. Organic Vegetable Garden, 2012 – present: The junior youth group replaced decorative plantings around the church with an organic vegetable garden that yielded over 150 pounds of fresh food for the Bedford food pantry in a single growing season. This has been watered with rain barrels collecting roof run-off. Films, Presentations and Books, 2013 – present: We conduct free public film screenings, book groups, presentations and discussions about environmental justice. Look for them on the First Parish calendar. Sunday Bus Service, 2013 – present: First Parish implemented a bus service using a local bus company as a contracted operator to provide Sunday scheduled bus service from several locations in Bedford to First Parish as well as St. Michaels Roman Catholic and St. Paul’s Episcopalian churches. We added stops at a local hotel that is currently housing homeless families as part of a state emergency response to a severe housing shortage in the Boston area. This enables people at the retirement community and hotel to attend the church of their choice at no cost to them, and cuts down on traffic. Growing out of this community effort, we sponsored the Eleventh Annual Forum on Family Homelessness in March 2015 at First Parish, with Advocacy Network to End Family Homelessness & Cooperative Metropolitan Ministries, Episcopal City Mission, Citizens Housing & Planning Association (CHAPA), Mass Coalition for the Homeless, and UU Mass Action Network. Part Time Environmental Organizer, 2015 – present: The Social Responsibility Council approved a grant application to fund Evan Seitz as a Climate Justice Organizer at First Parish. John Gibbons introduced Evan at a special meeting. Political Action, 2014 – present: Members have advocated through legislative pressure and civil disobedience for changes to Massachusetts environmental usage and policy. Resolution Declaring Our Right to a Livable Climate, Nov. 8, 2015: The First Parish semi-annual congregational meeting passed a resolution that states that we have an inalienable right to a liveable climate, and that both the fossil fuel industry and the laws that support that industry are in violation of those rights. The resolution states that we intend to fight for and defend our rights for a liveable climate through organizing and supporting those who engage in civil disobedience to block new fossil fuel infrastructure. 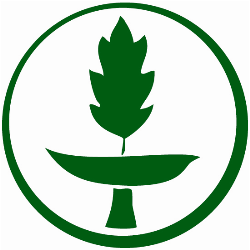 Climate Justice Group, 2015 – present: A Climate Justice Group has formed to focus on the ethical and political issues connected with climate change, through education, movement organizing, and campaign action. This group meets monthly and is open to all interested people at any level of involvement. Outreach to Other Congregations, 2015 – present: Meetings with other congregations in the area have been held to share knowledge about legislation and leadership, including discussion of Pope Francis’ Laudato Si Encyclical. Current outreach focuses on gathering UU congregations to jointly stand against pipeline construction in West Roxbury. Strengthen the connection between spiritual practice and Earth consciousness, and share our joy in life’s complexity. Environmental Services, 2010 – present: Services held both inside and outside let us focus together on appreciating and sustaining life around us. Universe Creation Classes: We Celebrate the Universe Story – from Big Bang to present – through the creation of three intergenerational, environmental education programs. Climate Justice Moments, 2015 – present: Brief (1-3 minute) personal stories are presented by members during regular Sunday services. Teach our children and youth to understand and appreciate how we interact on Earth. Hungry for Change: Food, Ethics and Sustainability: We used the Northwest Earth Institute’s six-session discussion course to explore the impact of our food choices on our earth and our health, and considered the ethical and political implications of our food choices. Eat Your Values: We developed a four-part curriculum to inform the children about how their food can affect them, their communities, and the environment. Earth Circles curriculum: We created a four-part curriculum: Water Water Everywhere; Visits with Nature; Soil and Seeds; and The Fruitful Garden. Written material and video clips demonstrate various project and experiments appropriate for children. This program has been distributed to other UU congregations around the country. Encourage personal lifestyle changes at home, in our gatherings, and for our facilities. Building Renovation Study, Oct. 2009: An Energy Conservation Action Study was conducted by The Hickory Consortium to assess architectural renovations and systems upgrades. Next Step Living (NSL) Energy Audits: First Parish provided a seminar and free home energy audits. This helped people save energy and money, and reduced their carbon footprint at home. Recycling, ongoing: Recycling at First Parish events led to over 500 pounds of material in one year’s time. We continue to recycle and encourage families to recycle at home. Lighting Efficiency, ongoing: By replacing over 65 incandescent lights inside and outside the church building with compact florescent light (CFL) or light emitting diodes (LED,) our building has reduced power consumption by almost 4,000 watts, saved over 4200 kWh, and reduced energy costs by $720 per year. Rain Barrel, ongoing: Collecting, storing, and recycling rainwater in a 500-gallon a rain barrel has sustained the Junior Youth Group’s organic vegetable garden. Green Sanctuary Renovation, ongoing: A task force has assessed heating, cooling and insulation possibilities for the historic 1817 building, including the installation of solar panels. All of these initiatives help parishioners build awareness of the significance and complexity of environmental issues, encourage personal lifestyle changes, engage in community action on environmental issues, strengthen the connection between spiritual practice and Earth consciousness, and work to address environmental injustice. Join in!